Yes, they can be removed using the tool provided, and then re-attached using a new fastener. See PDF. Where is the best place to put them? A discreet place that will be the most comfortable. For top garments the best place is the label on the left hand side where a spare button would normally be found (or the seam if no label). For trousers and skirts, on the inside of the hem at the bottom (on the left for consistency), and for under garments the button should be placed on the outside, as the fixture of the button is smooth and completely unnoticeable. See PDF. It will depend on the number of garments, and whether you are labelling all under garments or using net bags for these, but we recommend 50 buttons per person initially. The Fixxon buttons have been washed and tumble dried 1000+ times in industrial machines using the strongest chemicals, with no sign of deterioration. The print is completely protected and very durable. The unique fastening system is very strong. It anchors onto the button itself rather than relying on the fabric. This makes it suitable for all types of material. Am I better off using room numbers or names? Some care homes will use room numbers and colour code the different areas of the home. The benefit of room numbers is the re-usability and simplicity, and the efficiency of always having the buttons available in-house. 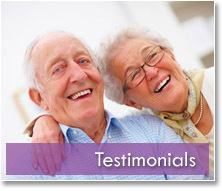 However having names make it more personal and many of our customers chose them. See shop. What can we have printed on the buttons? Almost anything you want – numbers, names, initials, even images. However the buttons are designed to be small and discreet, so there is a limited print area. To ensure that the print is easy to read we would advise a maximum of 10 characters per line (2 lines of print). We aim to deliver within 5 working days. Numbers 1-100 in the six colours are kept in stock, so will be delivered sooner. If you need buttons urgently please let us know and we can try to accommodate you. Can they be used for respite? Yes, they are perfect for respite as they are so quickly and easily attached and removed. See PDF. They are primarily designed for personal clothing, and we currently supply care homes, schools, nurseries and the military. We also have clients who use them to colour code and identify linen, to ensure that these are returned to the correct place. 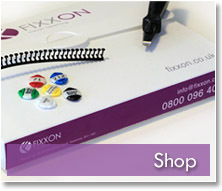 Customers are finding different uses for Fixxon buttons all the time. 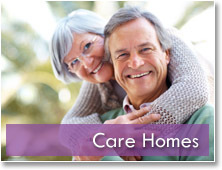 We will send samples to registered care homes, schools, hospitals and military bases. Please got to the products page of our website which you can fill in and submit and pay online, or you can print the PDF order form and fax or send it to us, or just give us a call on 0800 096 4011.